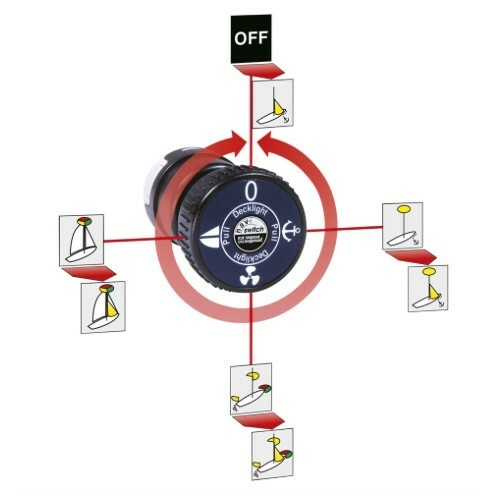 The Nav-Switch can be placed anywhere on the boat, for example on the steering station, where decisions are made. 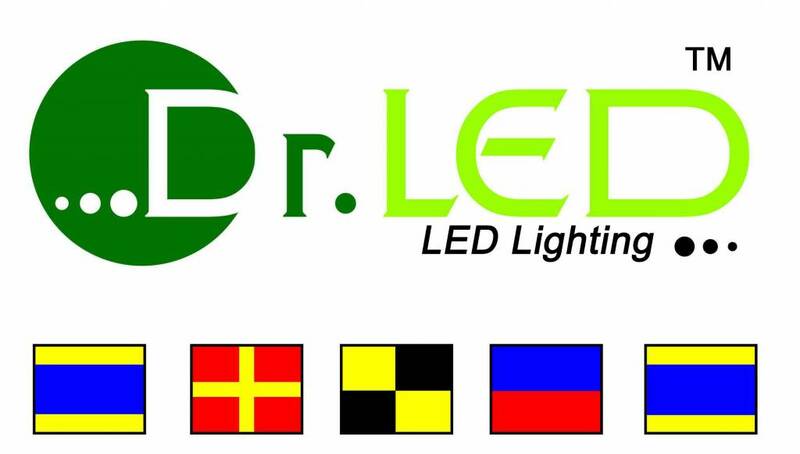 The respectively prescribed navigation lighting for moving under sail power (the sail symbol), or if the boat is under way, motor-driven (the propeller symbol) or when at anchor (the anchor symbol), can be directly altered using the switch. The instrument lighting is also switched on at the same time as the navigation lighting. 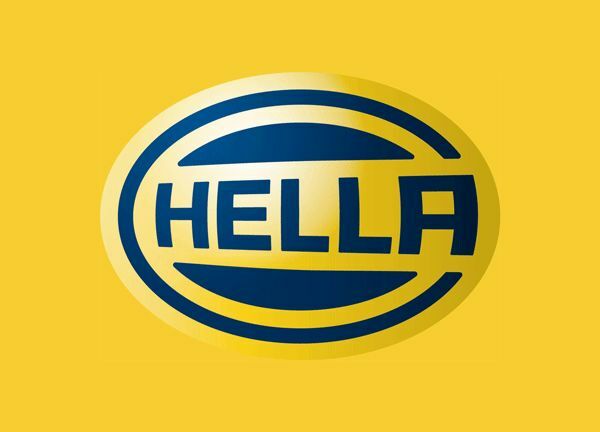 A function lighting (e.g. 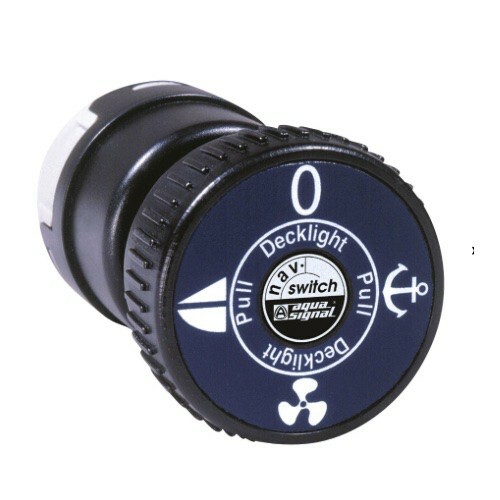 deck illumination) can be switched on or off in every switch position by pulling on or pressing on the Nav-Switch. Nav-Switch – There is nothing easier.